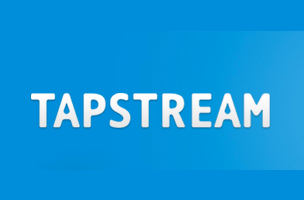 Mobile acquisition and growth platform Tapstream has announced the release of its mobile attribution service for free. This service allows mobile marketers to analyze and understand the effectiveness of their campaigns, without worrying about associated costs. In addition, Tapstream is launching its “Onboarding Links” service, a tool set that allows marketers to personalize the user experience based on ad campaigns, traffic sources and more. Tapstream’s mobile attribution service tracks mobile app installs from the point of an ad click or another impression source (like visiting a website), and tracks in-app purchases per source. Every download of an app can be tracked back to its original source, so marketers can determine which sources are the best for future campaigns. In addition, the platform offers data for “Average Revenue Per User,” which can be viewed over a limited number of days, or as a lifetime value. Meanwhile, the Onboarding Links service gives marketers the ability to treat mobile apps like web pages, customizing the new-user experience, depending on the associated ad campaign or source that brought them to the app. The platform offers real-time results for accurate data, and support for third-party attribution solutions and deep-linking through services like App Links. More info on Tapstream’s free mobile attribution tools is available on the company’s website.